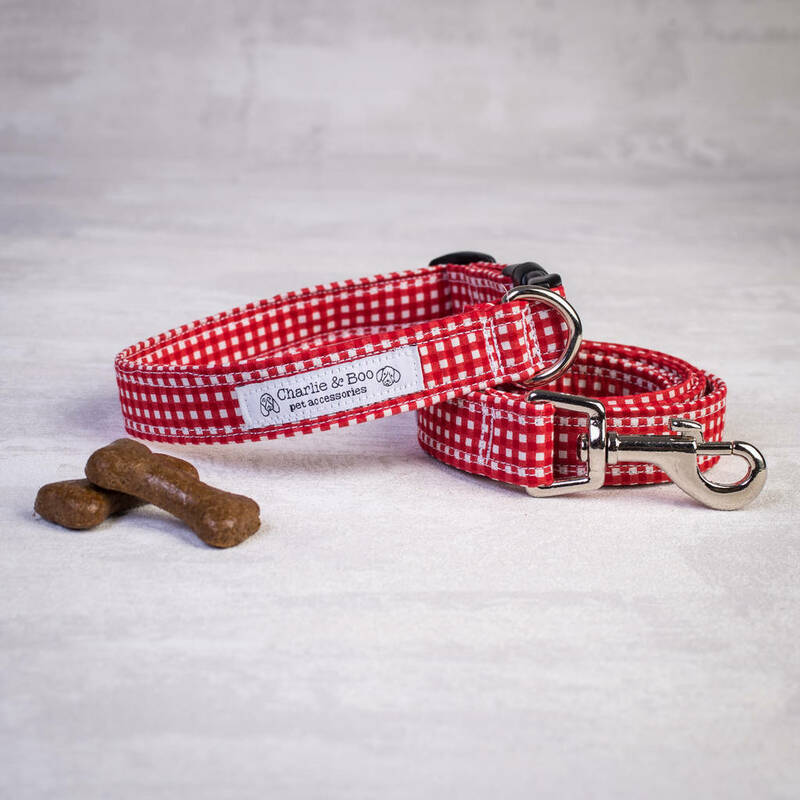 This superb dog collar and lead set is perfect for both boy and girl dogs, it's not only a stunning but hard wearing as well! 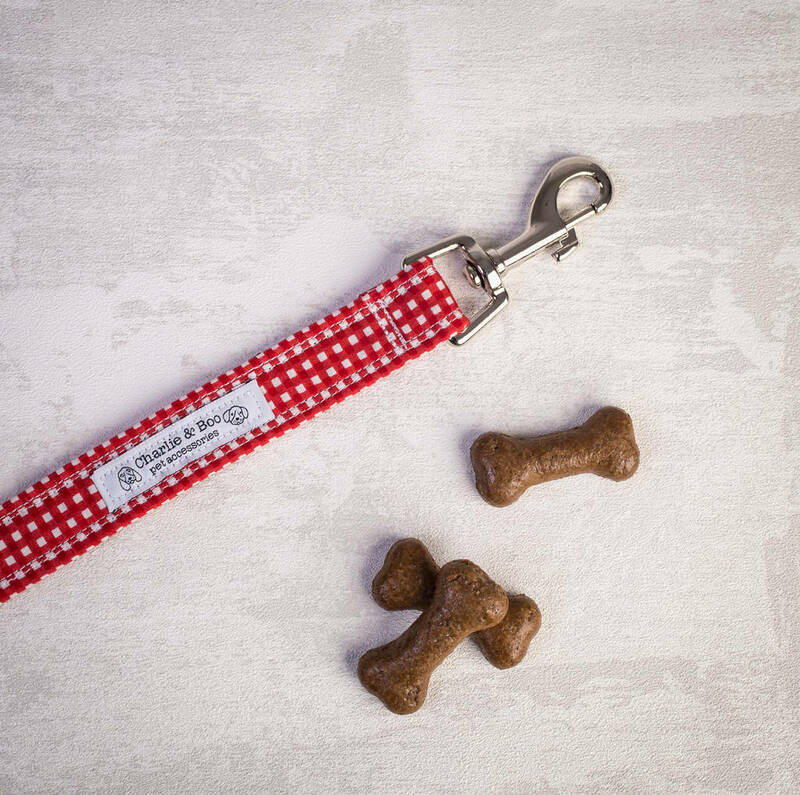 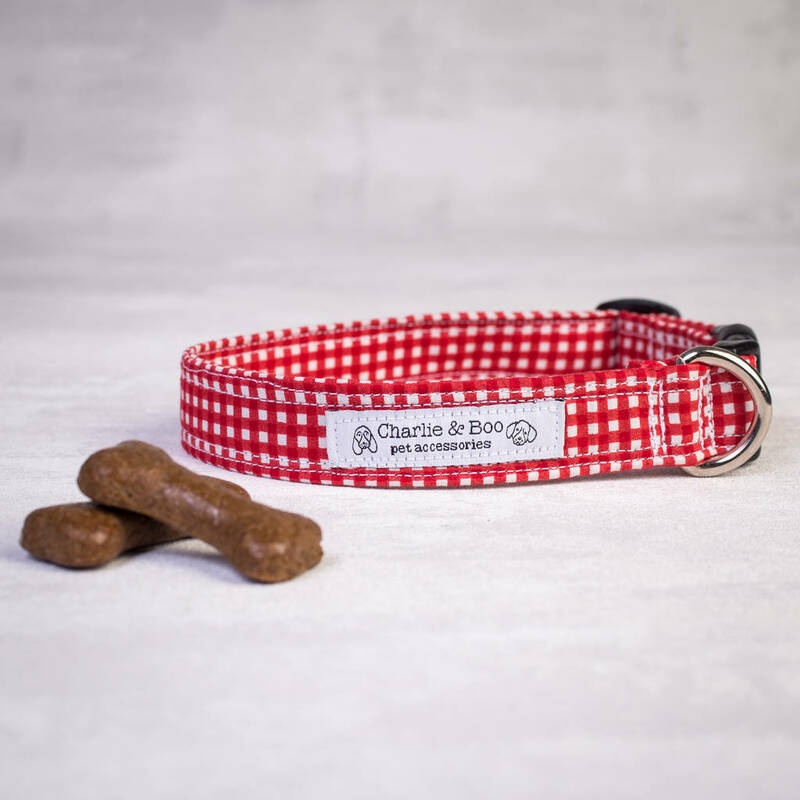 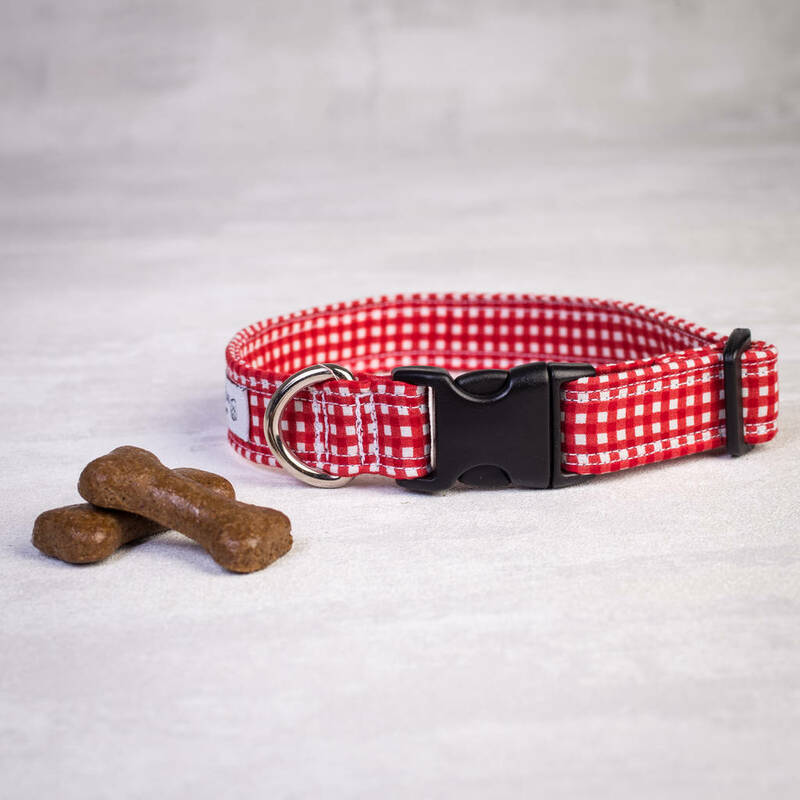 We only use high quality materials for all our products and make sure we pay great attention to detail on making them, encasing nylon webbing on our collars and leads with fabric then double stitch for a great looking and strong collar and lead set. 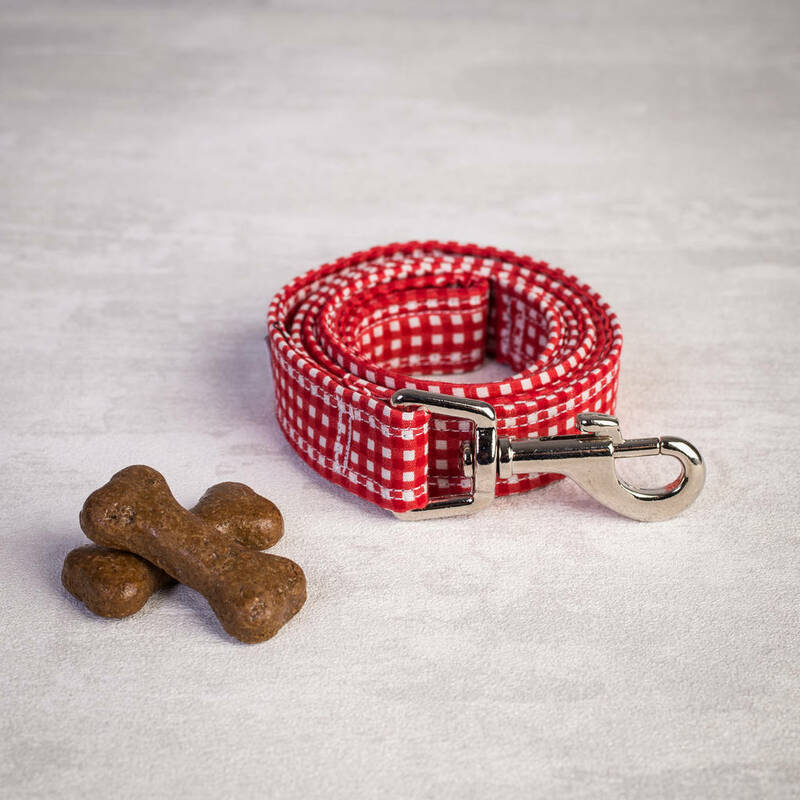 Your collar and lead will arrive tissue and ribbon wrapped. 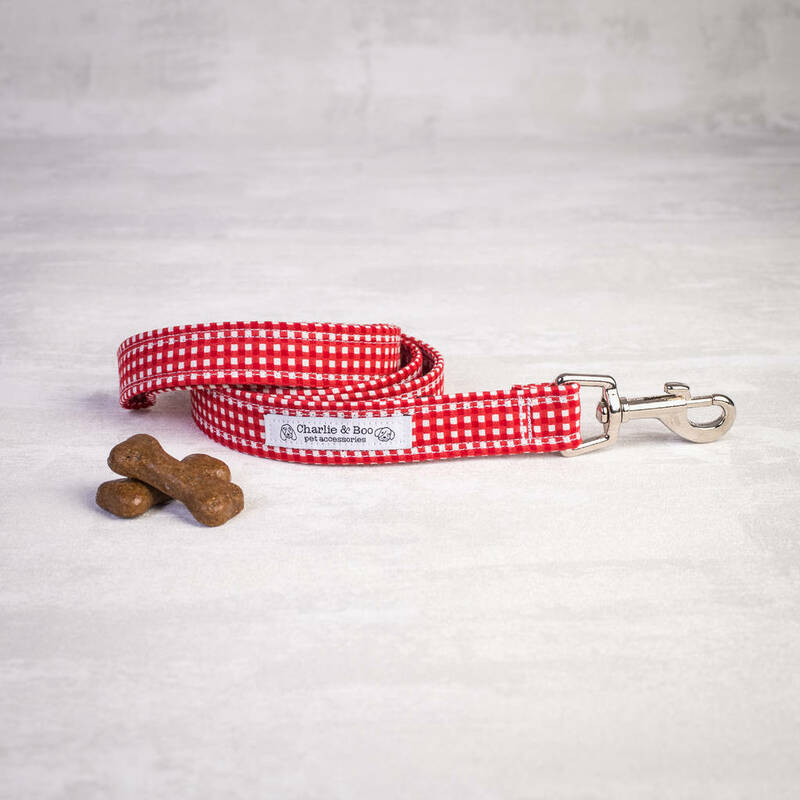 Our Extra small and small collars and leads are 3/4inch wide and our Medium and Large are 1 inch wide.